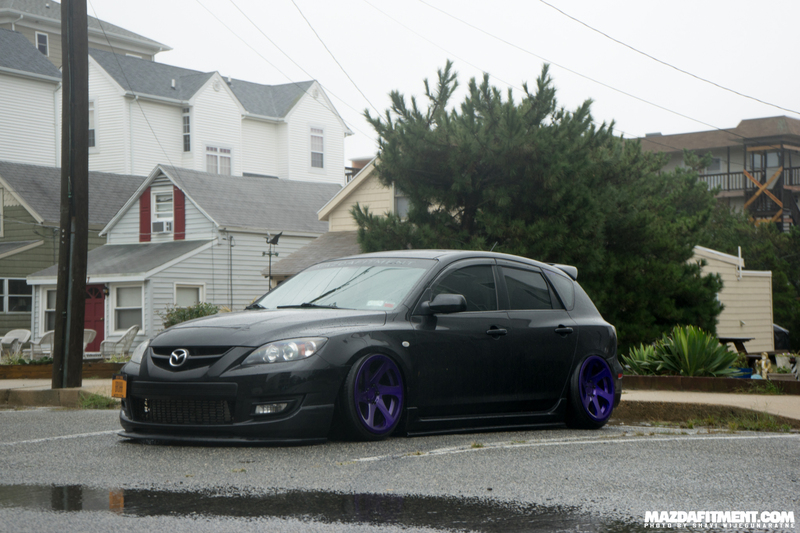 It was back in early October for H2Oi 2015 that we had our 2nd annual meet up in Ocean City, Maryland that brought all of the internet together into one place. 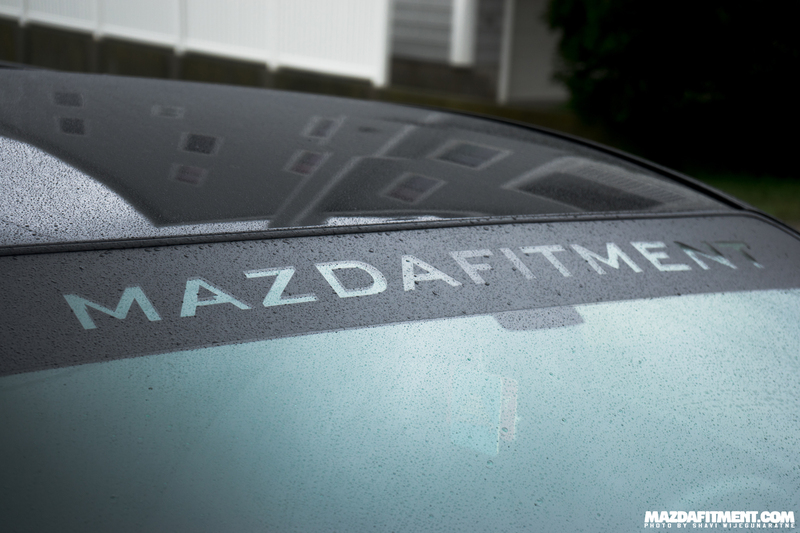 From that weekend, we have Sam Monti’s 2009 Black Mica Mazdaspeed 3 from Rochester, New York. Simple and clean from the lip kit to the color scheme. 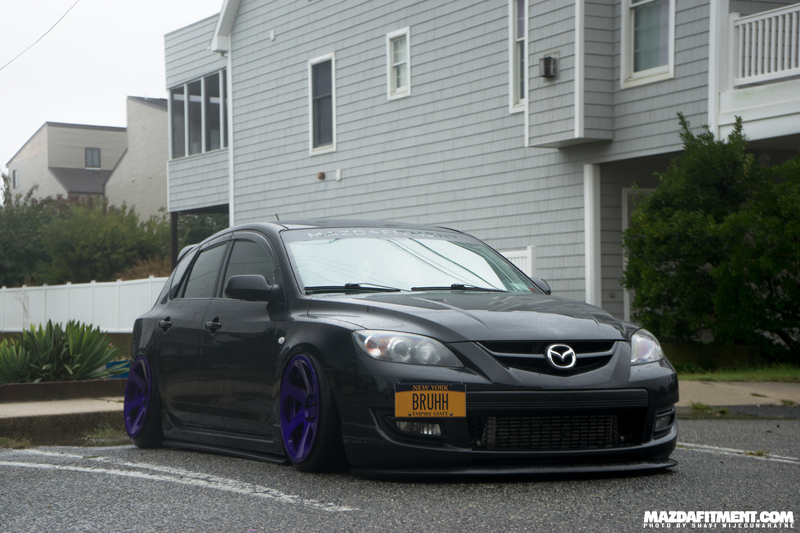 Sam’s choice of going with 3SDM 0.06 wheels sets it off with that directional twist. 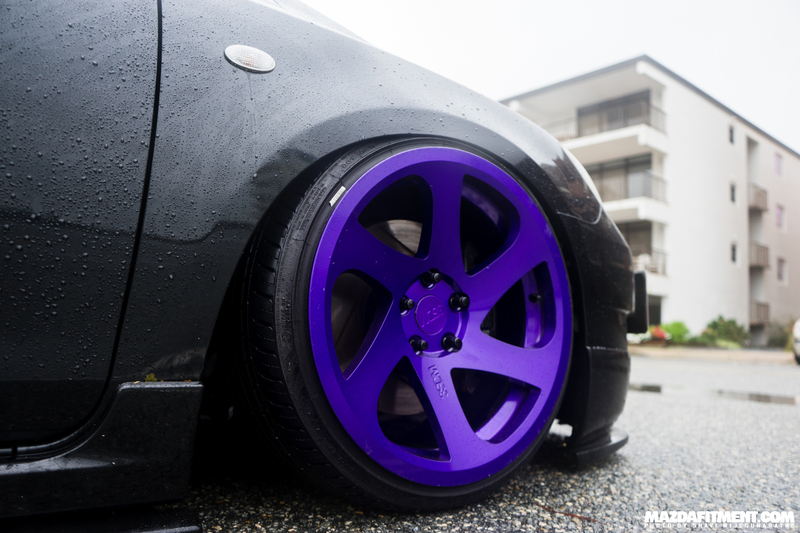 These 3SDM 0.06 were custom powder coated with illusion purple; has that blue/purple look to it. 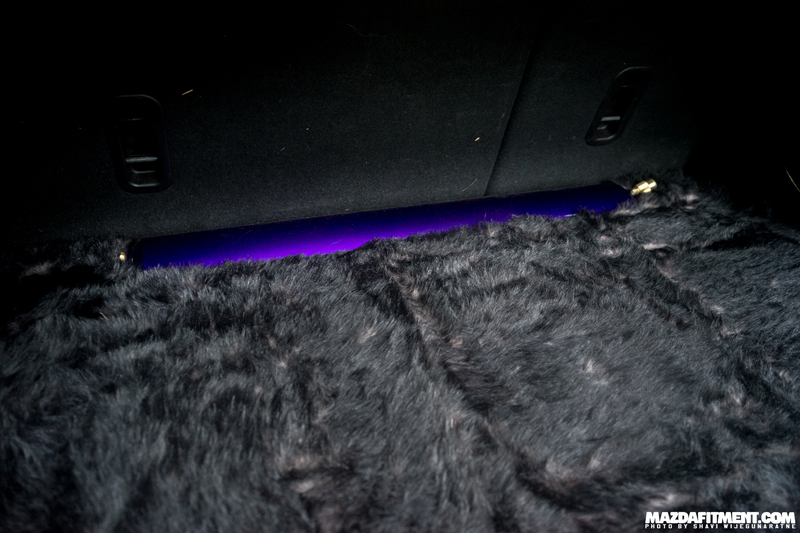 Sam’s trunk setup with soft furry false floor and tank also powder coated illusion purple; suspension is set up with full Airlift performance suspension all around. 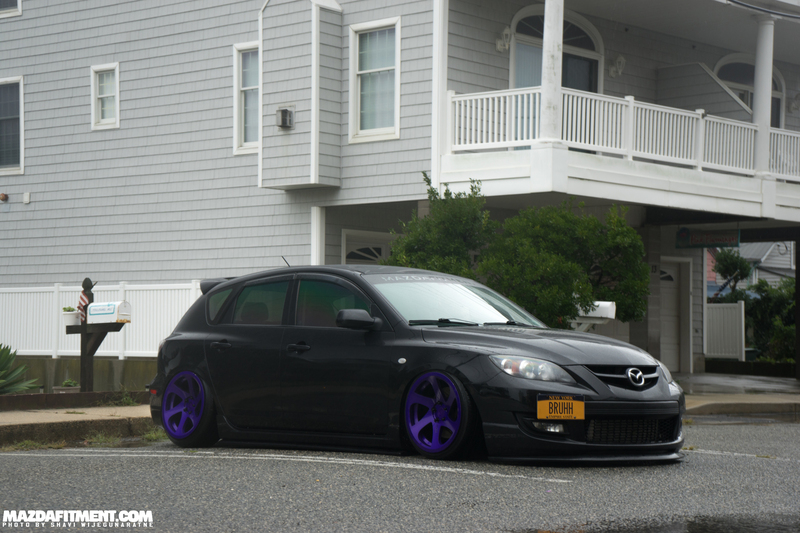 Since this is on air suspension, Sam can still enjoy the car for his needs. Under the hood running a bolt-ons with Freek Tuned on 93 octane and 5 gallon E85 mixture. 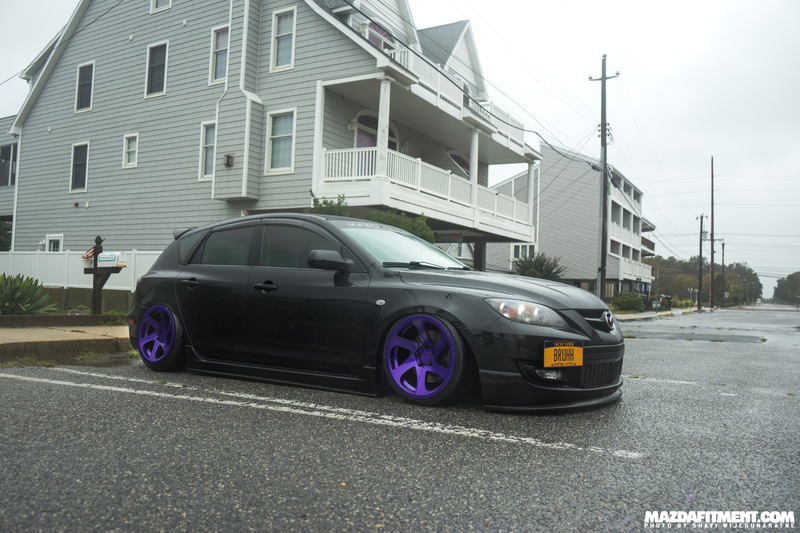 These illusion purple 3SDM 0.06 are 18×9.5 +40 with custom 15mm adapters (5×112 to 5×114.3) to effectively bring the wheels to 18×9.5 +25.